This is my public declaration that I am going to work REALLY hard to do better at documenting. What good are a ton of photographs if they stay on memory cards and never get shared? Or the 2,000 photos on my phone…. 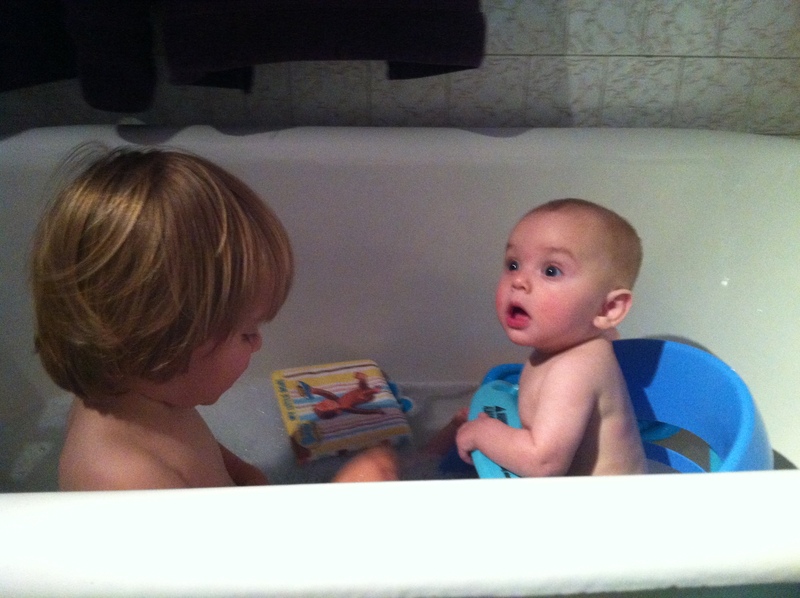 This week marked the first time we put the boys in a bath together. I can’t lie…it was magical. Truly. 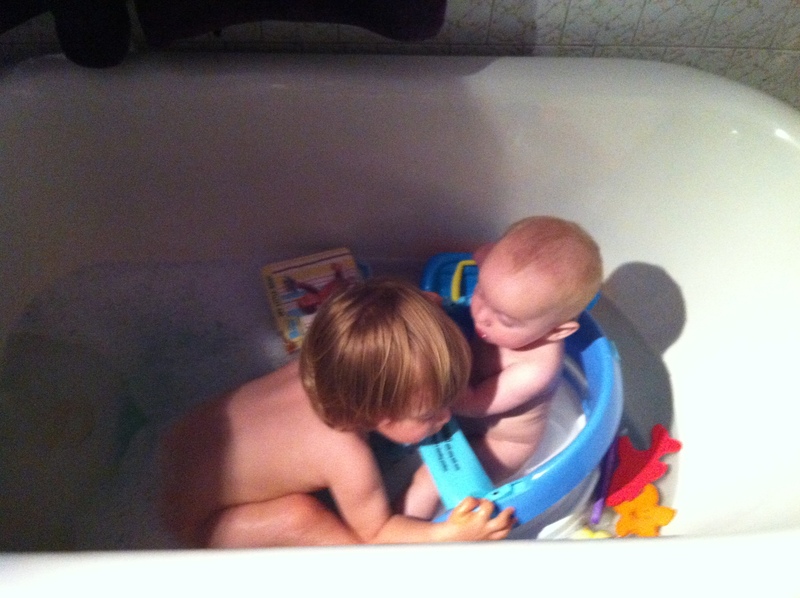 William wanted to bathe Noah so we let him. 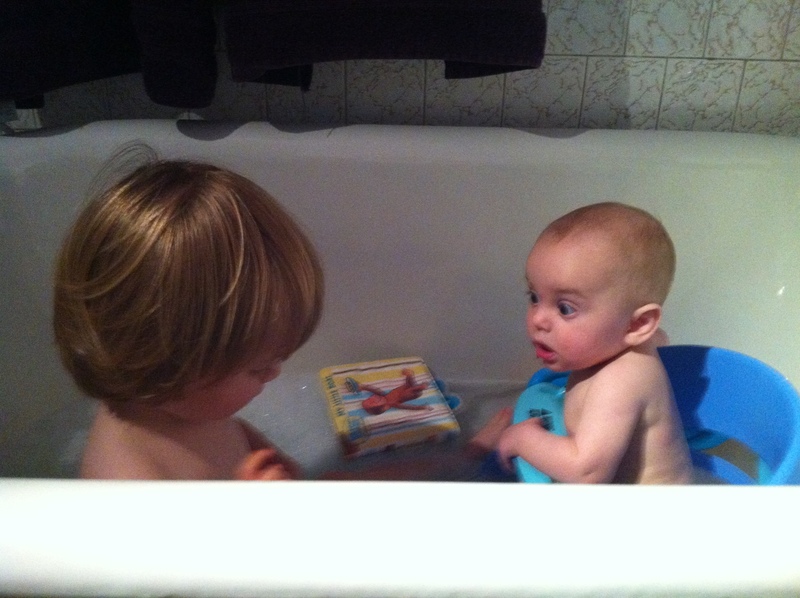 He was so detail-oriented he pulled Noah’s ears forward to get behind them. I think my heart exploded. 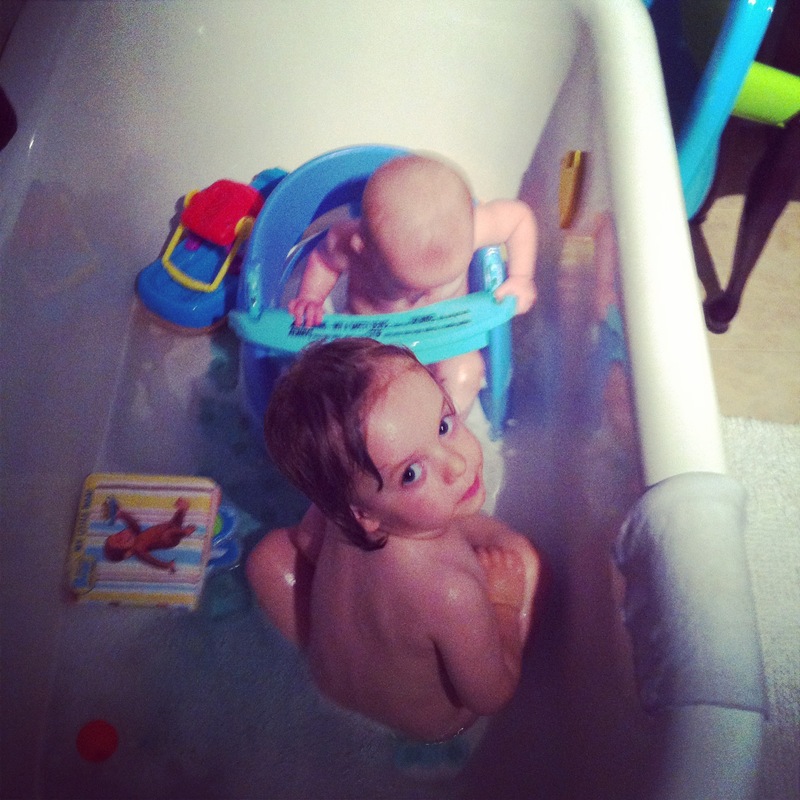 There were quite a few hugs and plenty of splashing. Beyond the fact that it’s a huge time-saver for us in the evening, it makes me feel even more excited that my boys are so close in age. They are lucky indeed.